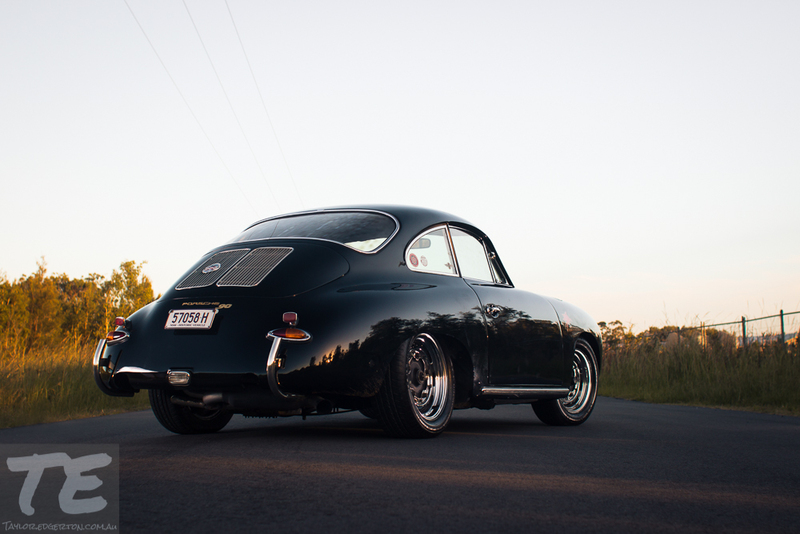 Today we catch up with Chris Dwyer from Byron Bay. 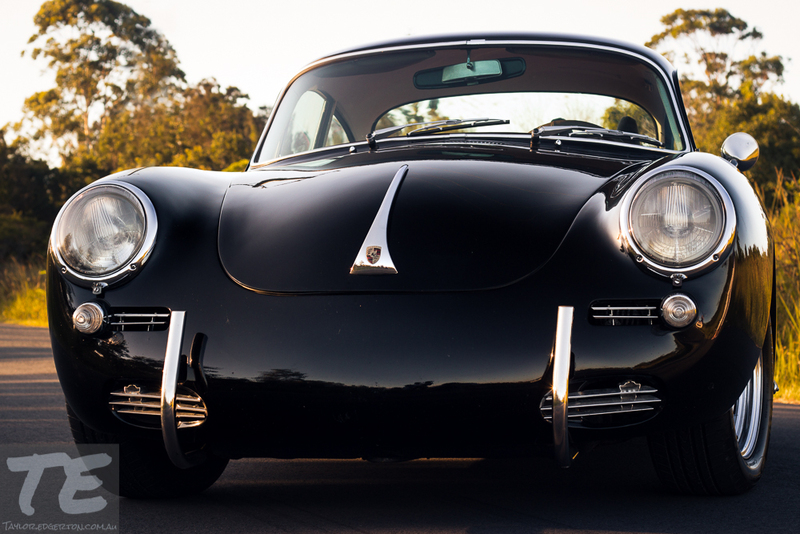 BBG : Tell us how you got into the Porsche scene. CD : I would guess that it was much like many other people my age. 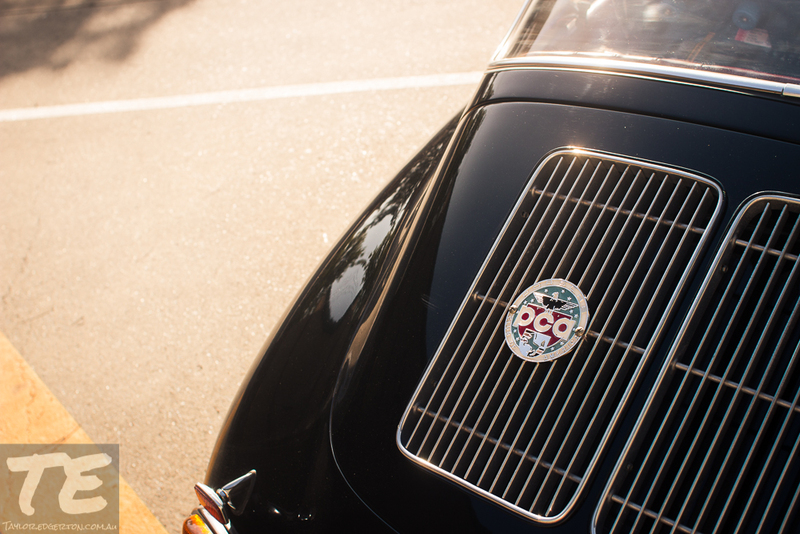 I grew up admiring the pure functional shape of the 911. I never really gravitated towards the turbo with the whale tail as I felt it took away from the purity of the original design. 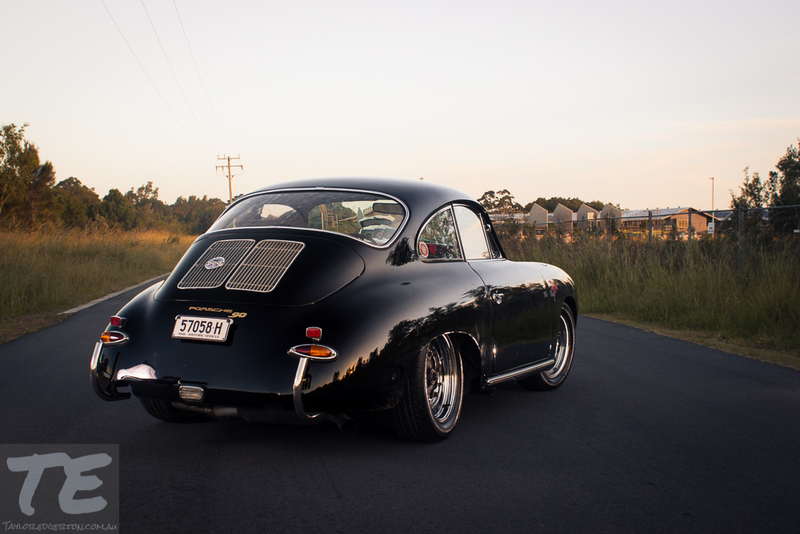 After researching more about the classic design, I found that I was pulled more and more towards the 356. 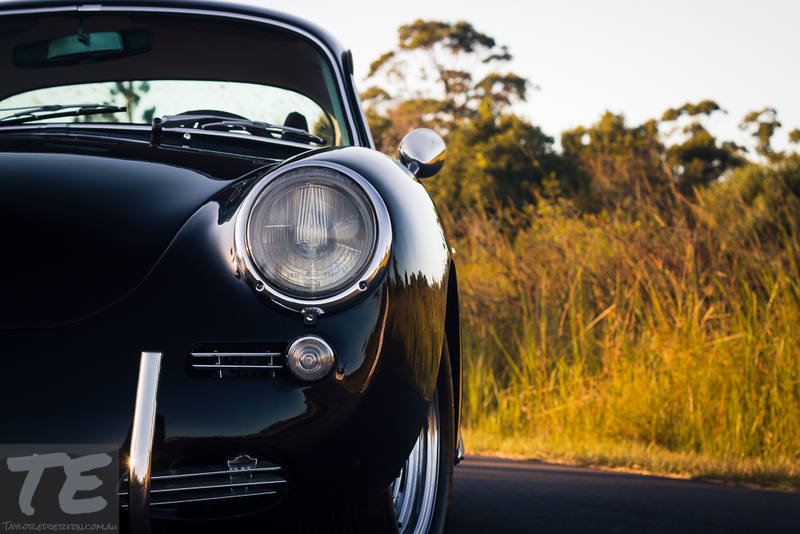 At the age of 16, I had found a kit car creator in WA who created 356 speedsters. I mailed them for the information pack (pre-internet days) and received a little information booklet a few weeks later. My fate was sealed. BBG : So did you buy this speedster replica ? CD : No. I was only 16, my father was the “sensible” type and I didn’t have the spare cash. 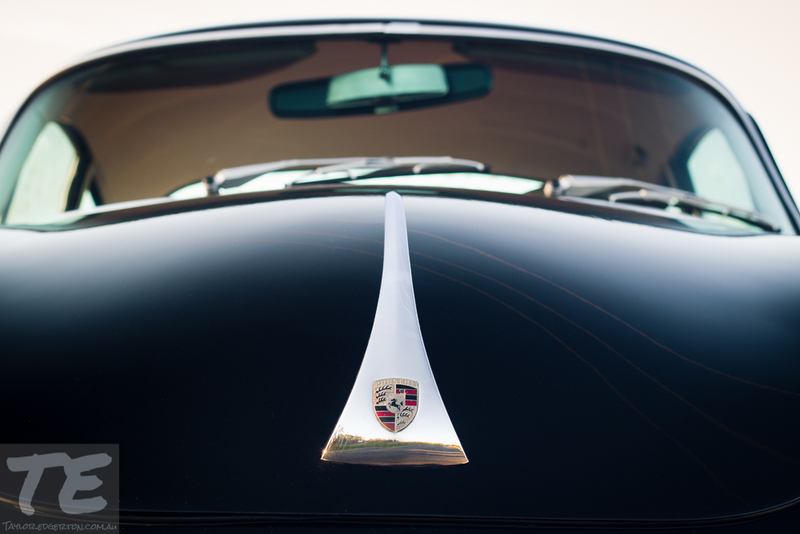 Career and family took over and it was another 20 years until I revisited the Porsche desire. 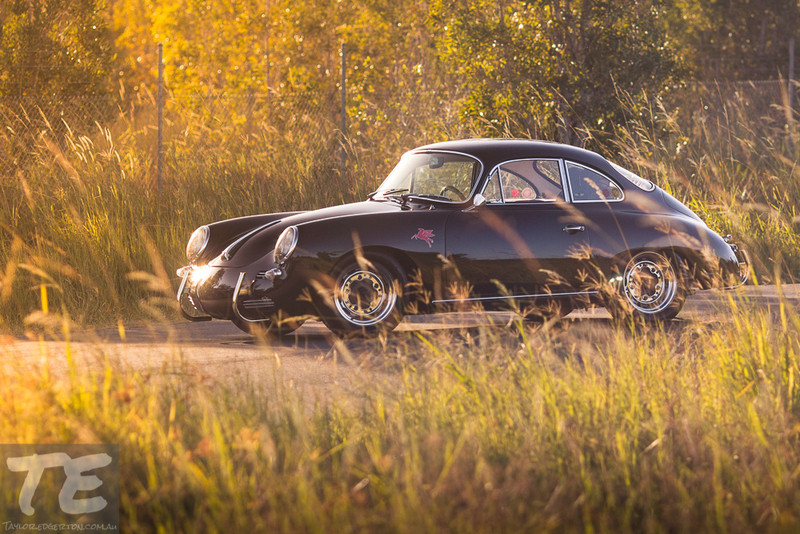 This time I settled for a 1994 911 (993 model) – the last of the aircooled. 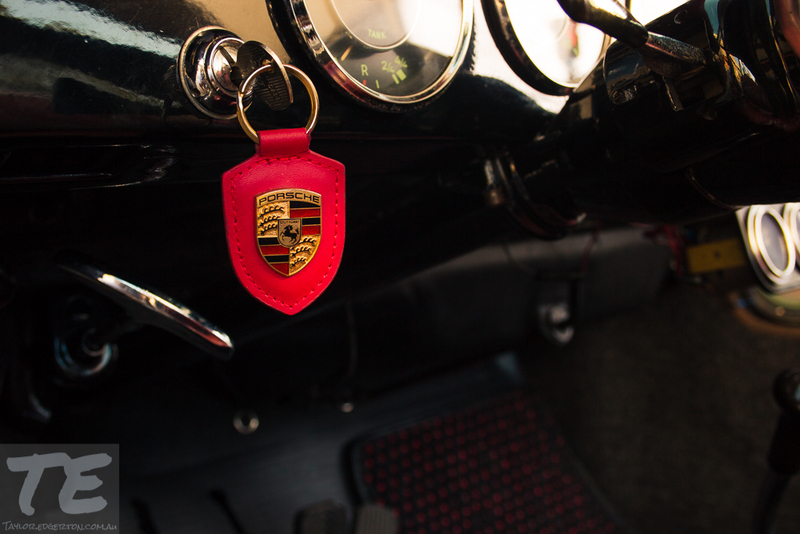 It was an amazing introduction to the world of Porsche ownership. I chose that model due to the ability to use it every day with the kids and still have spirited driving on the weekends. However, my itch was not yet satisfied. 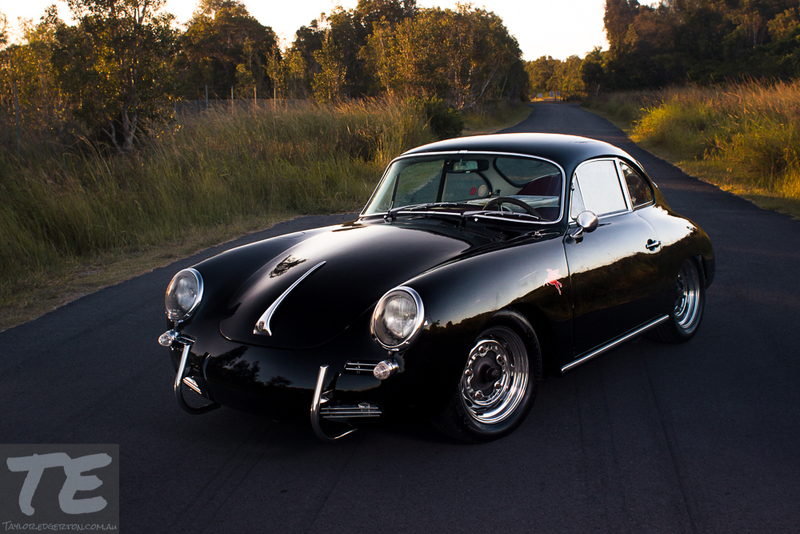 BBG : Still looking for the 356 ? CD : Well, I was looking for something else – something bit special. I stumbled across a mint 1972 Porsche 911 (well, I actually found it after searching for 18 months). 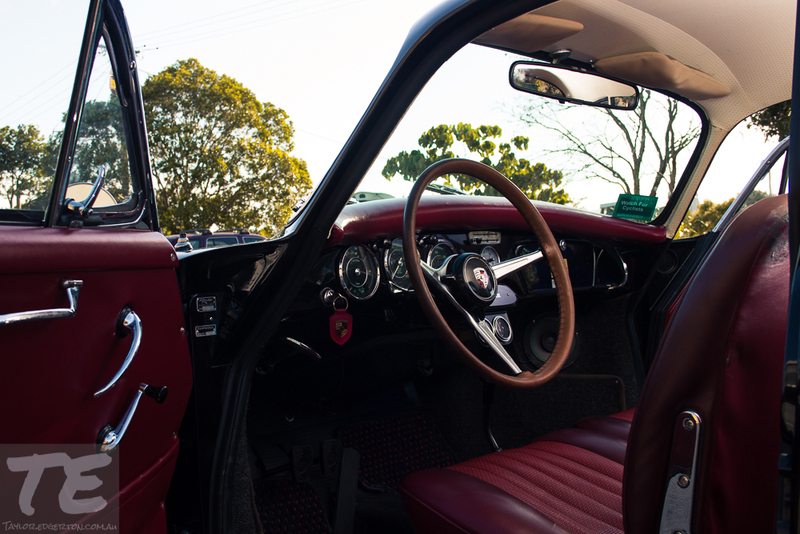 It was original in most ways – even down to the paint, the radio and the log books from the factory. I was such an amazing car I bought it ,sight unseen, from the other side of the world. 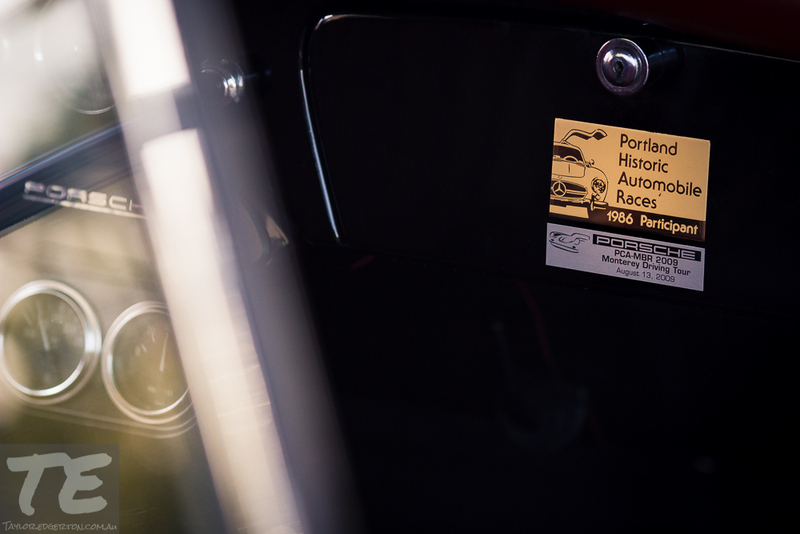 It was my first introduction into the “longhood” 911 – the original cars built between 1965 and 1973. It was a completely different car to the 1994. It was far less powerful, although still adequate. 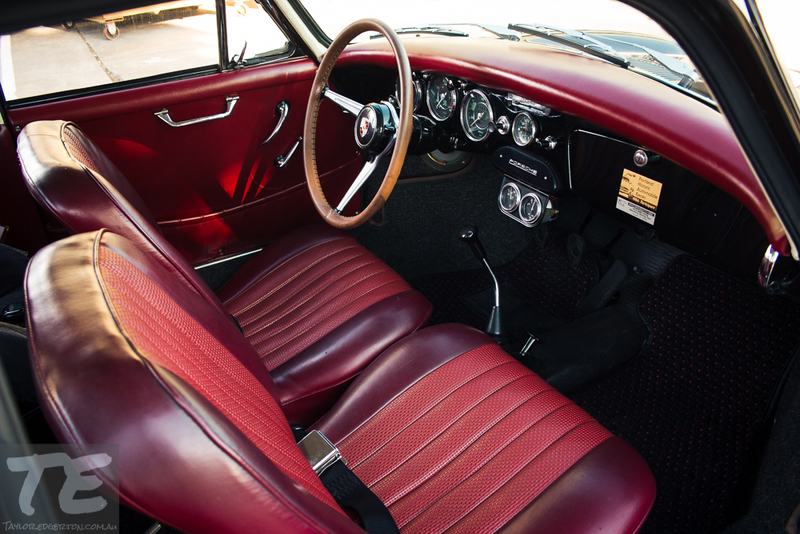 It was more engaging in a visceral sense, more enjoyable to drive at under the speed limit yet still comfortable. For example, I took my two boys, aged 4 and 6, to Sydney on a 2,500 mile 12 day roadtrip. Everything we needed was packed in that car (and on the roof) and the car did not miss a beat the entire trip. But, somehow, I was still looking for something else. 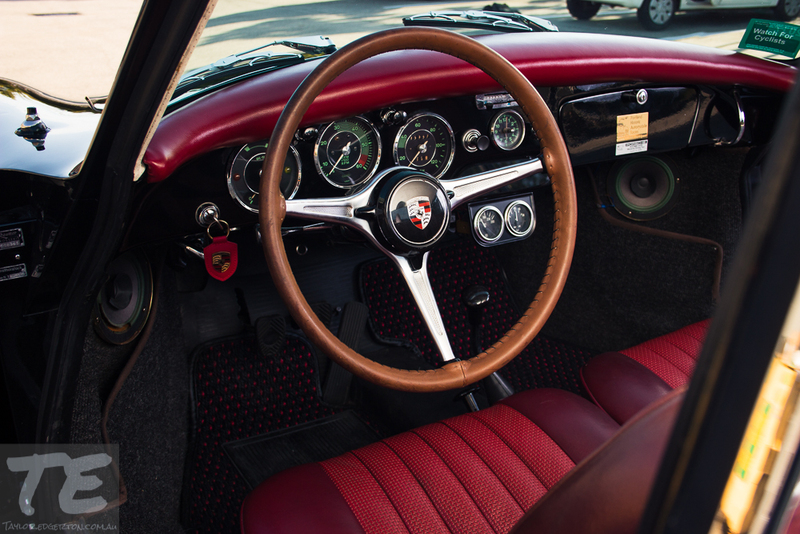 I didn’t know it at the time, but I had this niggling little memory from years earlier (when I was 16) for a 356. 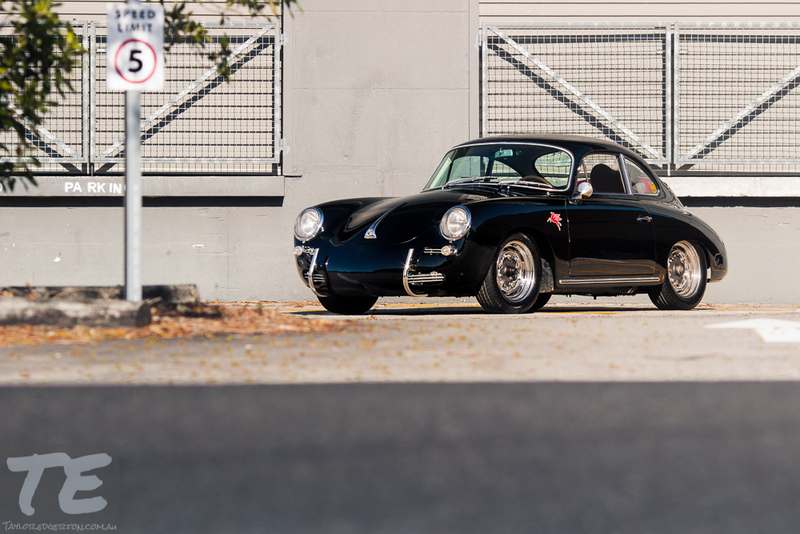 So, without me looking or searching out a Porsche 356, I suddenly ended up owning this little ex-racer. 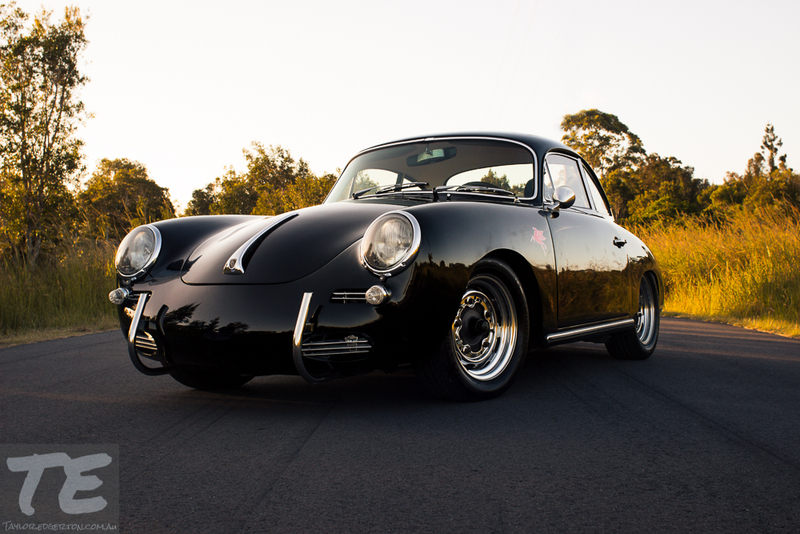 CD : This 1962 Porsche 356B Super 90 coupe has lived in California and Oregon since new and I imported it into Australia. 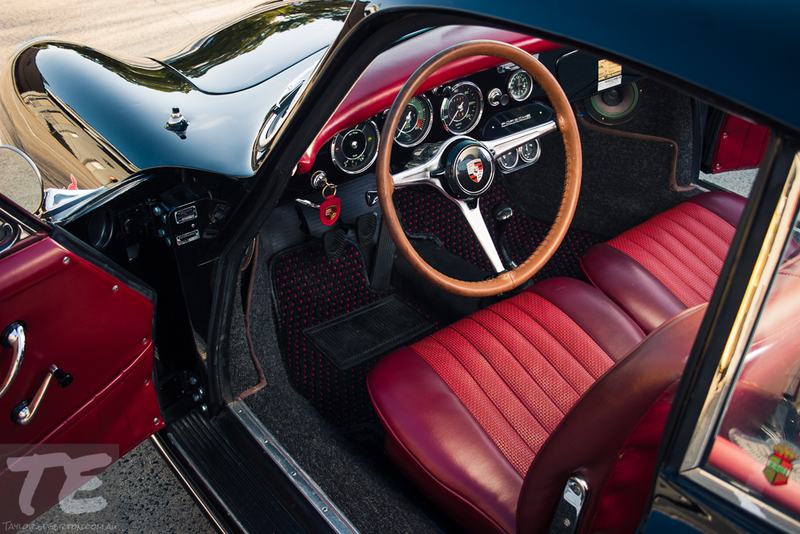 It emerged in 1990 in its current street/track specification following a 3-year, bare-metal build. 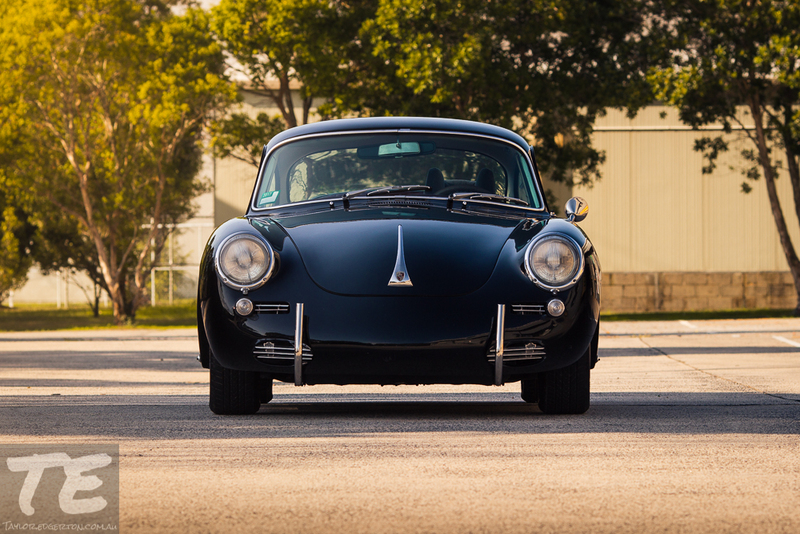 It was prepared to be both a vintage race and road rally car while still being street legal, and custom brake and suspension work was done by Emory Motorsports. The car was vintage raced periodically from the ’80s up until 2006, including 10 appearances at the Portland Historics with no DNFs. 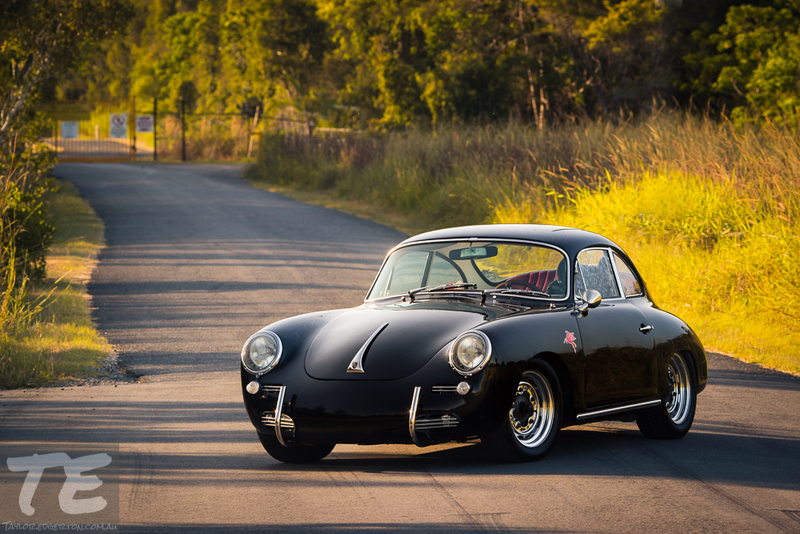 BBG : It looks far from a standard 356 from 1962. What has been done to it ? CD : This is what the car looked like originally. Since that time, the car has been lowered and balanced with Koni adjustable shocks and a Skirmants bar on the rear. It has been de-cambered front and rear. There is pretty much no body roll. 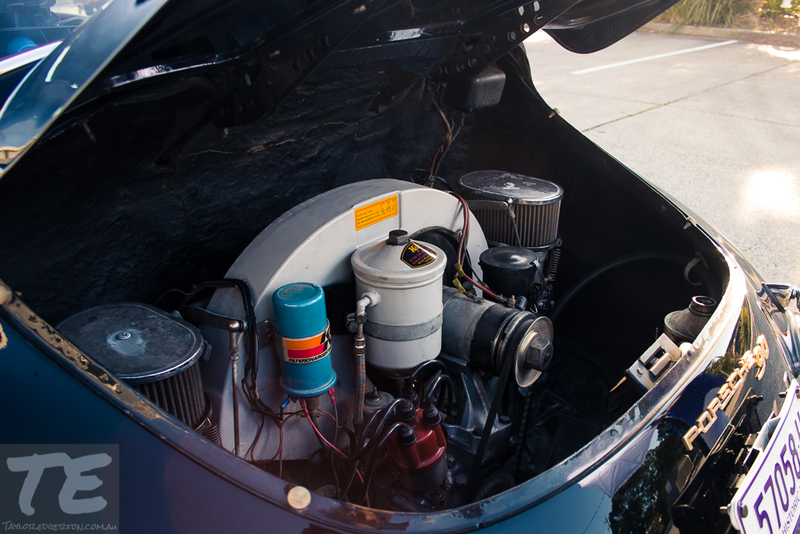 The original transmission remains in the car. It still runs a 6 volt battery in a 100% solid battery tray. BBG : You mentioned it has drum brakes. Any thought of upgrading to discs ? CD : No. The drums are ceramic coated with a heat reflecting coating in the centre to keep the bearings cool and a heat defusing coating around the rest of the drum to expedite cooling. They have never shown any issues with performance. 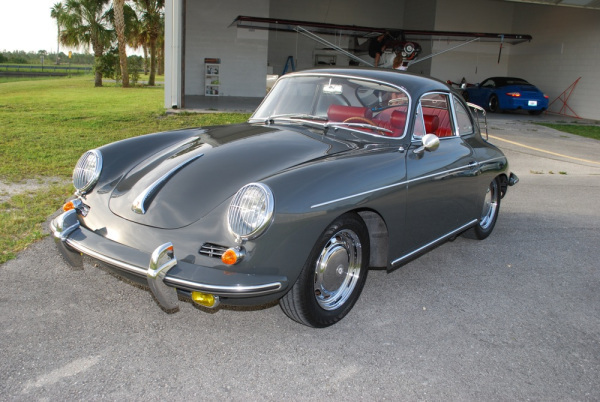 BBG : What about the engine – is it a standard 356 1600 engine ? 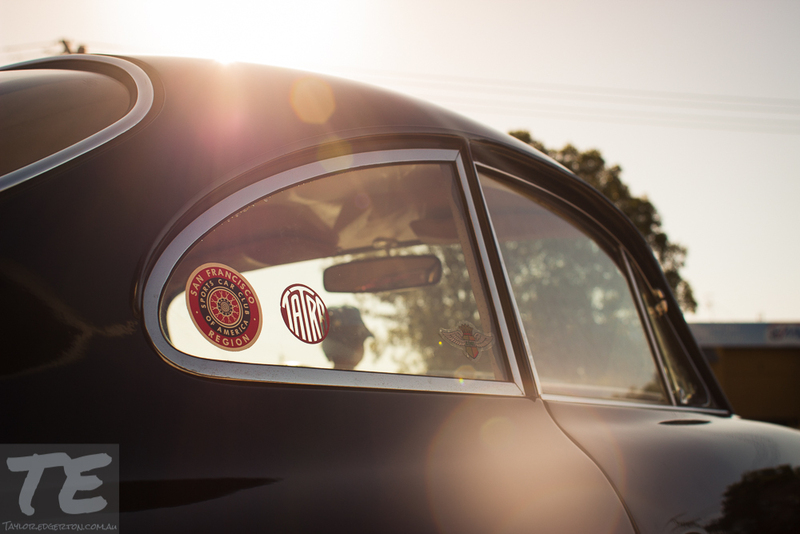 BBG : Have you been able to find much history on this car ? 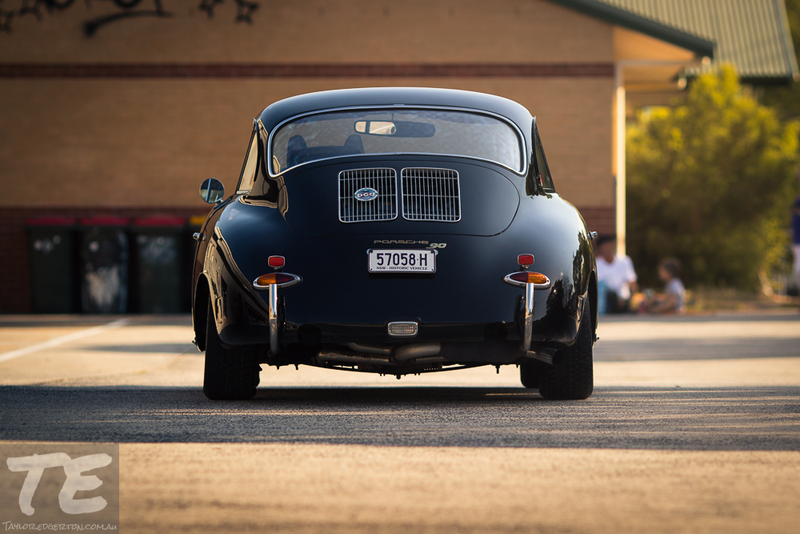 The Porsche 356 Super 90 at Portland Historics. Year unknown. And here it is in various other photos, including a couple of other shots from different race meetings. In one shot contained within a magzine (opposite an ad titled “New Supra Turbo. The Dynasty Accelerates” !!) 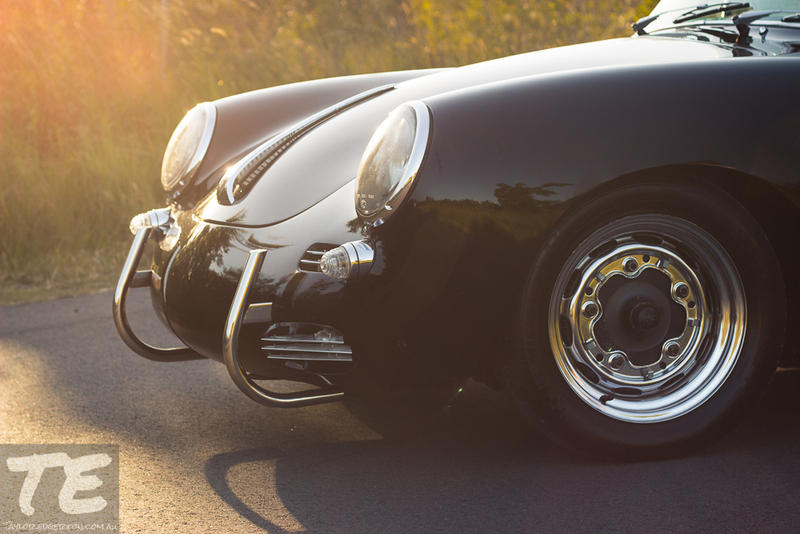 it is shown as a white 356, prior to it being repainted black. 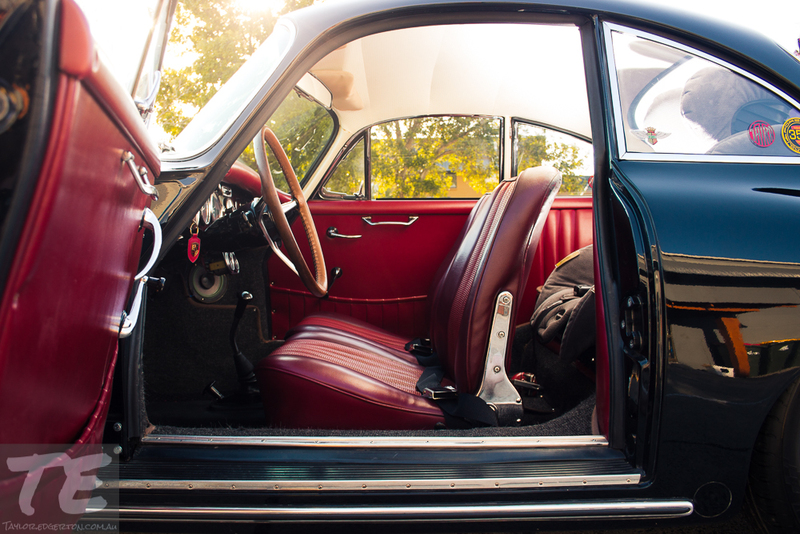 BBG : What is your plan for the car now – restore to original or leave as it is ? CD : I am usually an “original is best” type of guy. 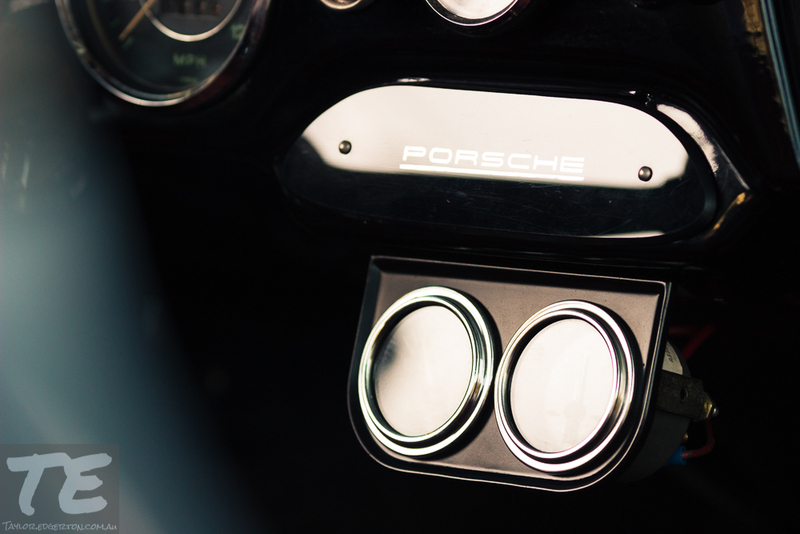 I truly believe that the Porsche engineers know much more than me, however, in this case, the car will stay as it is. So much work has gone into this car to create a more powerful, more stable, more enjoyable car to drive that it would be a waste to return it to factory. It sits flat on the road, has almost no body roll, makes a great sound from the flat 4 engine yet still has a charm to it. BBG : Has the itch finally been scratched ? 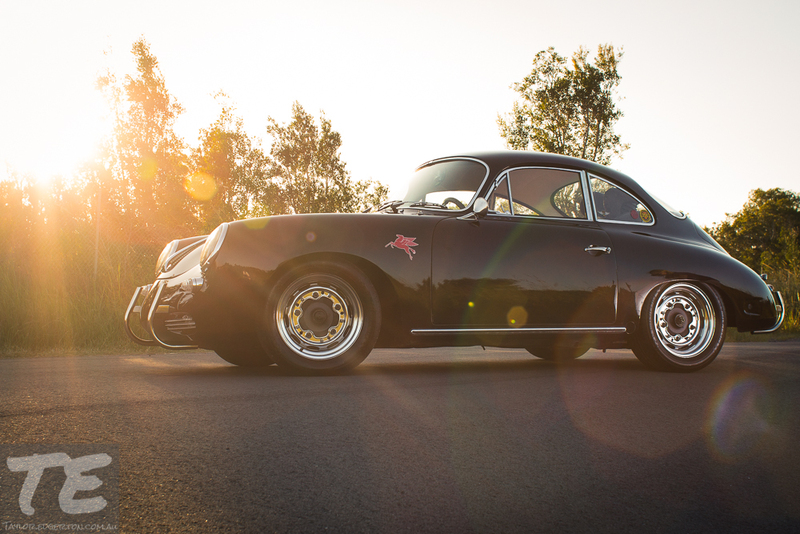 CD : I feel that the emotional journey has been completed with these three Porsches. Th 94 911 was a great daily driver, the 72 911 was a fabulous early car and the 356 is a magical little beast which satisfies everything. But, never say never. Photos were shot recently by Taylor Edgerton in Byron Bay. Special apologies also for the use of the word “outlaw”. It has been used recently by two particular gentlemen – one from LA and one from Paddington. Let’s see if they read this any comment ! 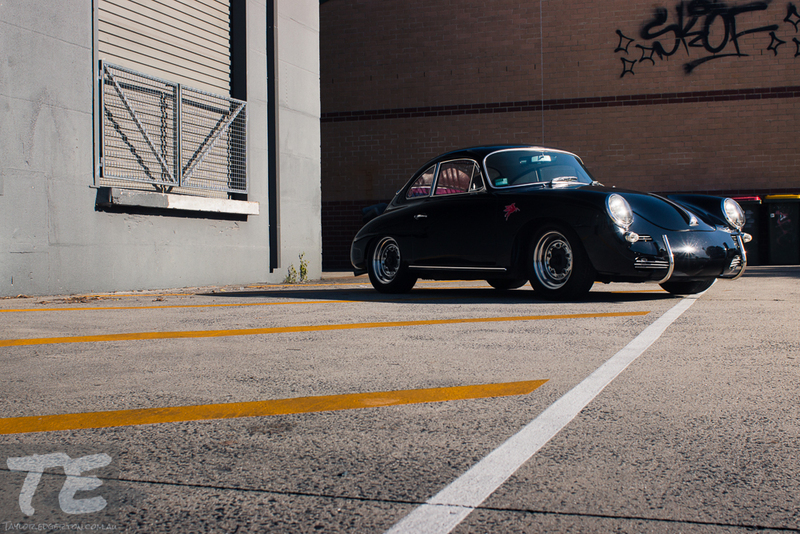 And you commented at 9.11………..I think you should look for your own Porsche 911 now.